Have you ever wanted to say you own a word? Now is your chance at The Big Word Project. You can select a word, buy it then have it link to your website. The Big Word Project has been featured in Wired and many other outlets. So far over 5,000 words have been sold at a $1 per letter. Select here to see if your favorite word is still available. I just had to buy "anew". There is currently a bill going through both the House and Senate that will change copyright law as we know it. 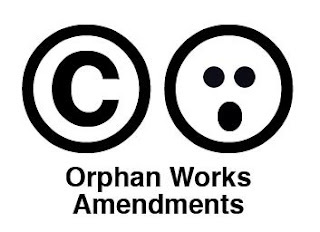 This proposed change is titled the Orphan Works amendment. Currently when we draw an idea it is ours and it is copyrighted the minute we complete it. We own that copyright and it is ours. Under the new change that is proposed, copyright infringers would be excused from significant damages if they can prove they made a "diligent effort" to locate the copyright owner before they used our work. What a "diligent effort" is has not been explained in the law and will force the setting up of a database of some sort by the government. I believe we all know how well this will work. I urge everyone to read more about this at a NY Times op-ed here and read about the law directly here for the Senate bill and here for the House bill. On both of these prior sites you can contact your Senators and House Reps to let them know how you fell about this potential change to current copyright law. We as designers and artist need to take a stand and protect our vocations. 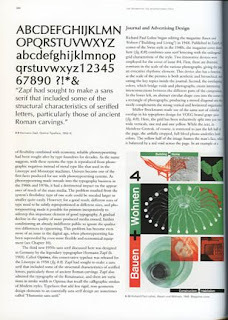 If you love legs look at this Print Magazine article by Steven Heller on the "A Frame" Layout. 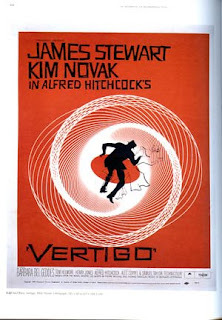 Examples are show from book covers to records to film posters. The article has a link also to a Flickr slideshow. To view the article click here. What is more red then blue and sometimes white or green? Check out this collection of political election logos put together by logoblink.com. They span from 1960 until today. To view the complete collection click here. A short video on Robert Rauschenberg as he talks about one of his famous pieces. Enjoy. Last week the price of postage went up to .42. 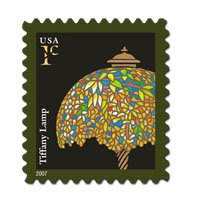 To add the penny you will now need to mail a letter you can buy a Tiffany Lamp stamp for a penny. What a bargain. Who would believe you could get a Tiffany Lamp for a penny? I wish we could find a real Tiffany Lamp for any reasonable price today. 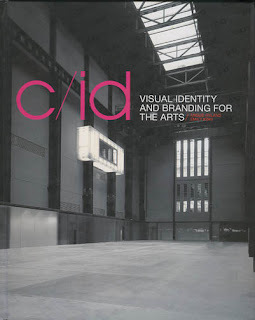 This weeks book is c/id Visual Identity and Branding for the Arts by Angus Hyland and Emily King. c/id stands for Cultural Identity. This book explores identity and branding systems for museums, theatres, and galleries. c/id looks at cultural facilities from around the world. Examples are explored from MoMA in Queens, Museo Nacional del Prado in Madrid, Globe Theatre in London, to the Vitra Design Museum in Germany to name a few. The images and photos are both well done and well explained. Each example tells a story about the unique projects for the branding systems. You will find this book to show current solutions to cultural identities that will inspire you. To get a copy go to this link. Dwell Magazine is holding the Dwell on Design Conference in LA this June. The show will be June 5th-8th at the LA Convention Center. It looks like it should be a good show. For a discount, use Code ADODED for the exhibition. For more information go to the website. Robert Rauschenberg helped to shape the world of art and design. He died Monday night of heart failure. Mr. Rauschenberg’s work was inspiring. He was a driving force in the creation of Abstract Expressionism. 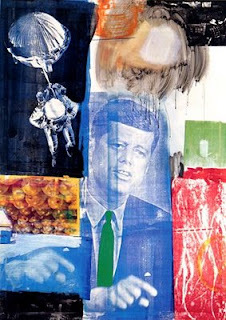 Mr. Rauschenberg’s work explored painting, photography, sculpture and printmaking. His works often featured his legendary texture and collage techniques. I saw a show of his works a few years back at LACMA. It explored his poster designs. It was a wonderful show that showed the printmaking experience at it greatest depths. Mr. Rauschenberg inspired me as a designer. The NY Times has a great article on Robert Rauschenberg’s life and influence. Mr. Rauschenberg’s work and inventiveness will be missed. 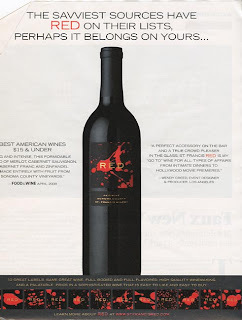 I saw this ad recently in the LA Times Magazine. It is for a wine. The interesting point is they are offering the wine in 12 different labels with the same variety of wine. You can pick the label you like best. This is a new direction for wine labels. The label design may not be the best but it will give the product additional shelf presence in an already crowded market. I also like the option of giving the consumer a choice in label. It help to personalize the product which is something we are always striving towards. I observed today that the One Hour Photo has gotten faster now. It only takes a 1/2 Hour now. Life is moving so fast these days. I have four photos that will be in the annual fundraiser for the Huntington Beach Art Center. 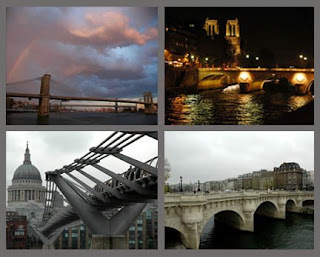 I am showing a group of photos from my Bridge Series #1. The art auction will start this Friday, May 9th with a free meet the artists, hors d'oeuvres and wine reception from 7pm to 9pm. The silent bidding will continue all week ending on May 16th with a live auction, martinis and food from 7pm until 9:30pm. Tickets for the May 16th event are available at the HBAC. Come out and enjoy this fun event showing your support for this great local art center. For more information click here. My dear friend and fellow instructor, Mike Tracy has a show currently running at the San Luis Obispo Art Center in San Luis Obispo, CA. The show "Tales, Toys & Tales" opened last month and continues until May25th. I have come to love Mike's work for its passion and stories. 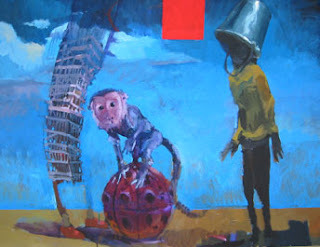 Mike's painting are powerful and expressive. They challenge the mind to open, to explore, to ponder, to enjoy. To see more of Mike's work go to his website. 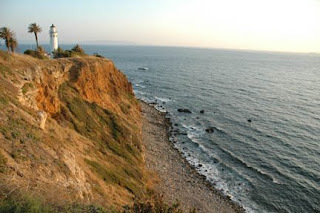 If you are in the San Luis Obispo area go check it out. Mike also got some great press in the local paper. See the article here. Mike tells me he was also interviewed for the local NPR. I will put up the podcast link when I get it. 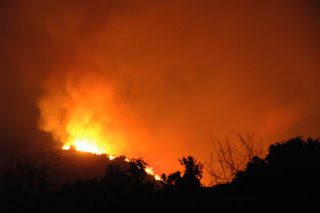 In Southern California this past Saturday, the first major fire of the year started in the Sierra Madre area of Los Angeles County. I went up on Sunday as a captain on a Strike Team to help with its containment. I got back on Tuesday after a long 48 hours just in time to teach. 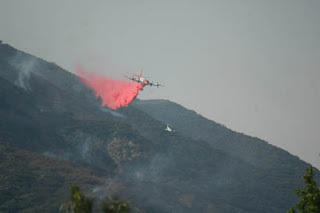 Usually we don't have to worry about fire for a few months but if this is a sign of things to come, we are in for a long season. This past weekend started out warm for LA. It was in the mid 90s so I decided to head for the beach where it is a little cooler on Saturday. 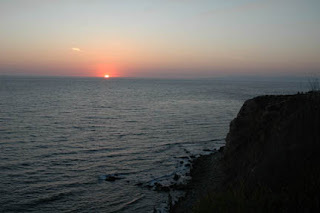 I ended up in the Redondo Beach, Palos Verdes Estates area of the county. I found this beautiful sunset to end the day then it was off to dinner. The beautiful design of nature must be observed to refresh us as designers. 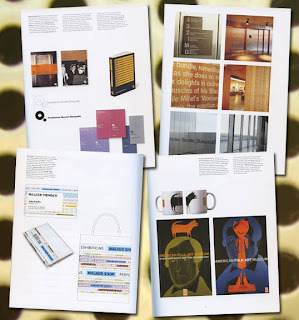 Graphic Design – A New History covers our trade in a well written 464 pages. This history of graphics covers it all from the origins of the craft to contemporary design. 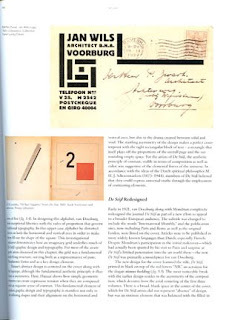 Graphic Design – A New History by Stephen J. Eskilson explains each area of design in wonderful detail and makes a great basis for understanding how graphics has evolved especially over the last 100 years or so. The chapters cover Art Nouveau, Art Deco, The Bauhaus, Revolution Design, The International Style, Postmodernism, and Contemporary Graphics to name a few. This book is full of wonder examples that are large and easy to see. The attention to details in the history helps you to understand how each movement relates to the other. 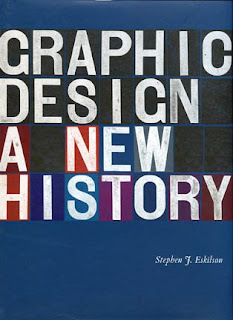 Graphic Design – A New History is a great update to the Meggs books that most of us grew up using. It is only by know where we came from that we can know where we are going. I highly recommend picking this up.